WELCOME TO THE SUMMER SPLASH BLOG HOP! Thank you for stopping by my site. It’s nice to meet you. 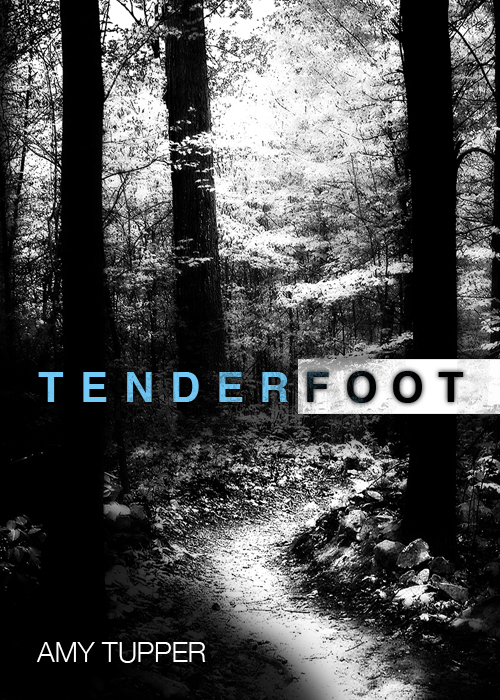 My name is Amy Tupper and I am the indie author of Tenderfoot, a paranormal romance set in Chapel Hill, North Carolina. Tenderfoot is about a girl who leaves what’s left of her family to start a new life in college – only she finds out she is never going to be normal when someone from her family’s past follows her there. And he’s really annoying. Don’t you hate it when that happens? I wrote my book in 2010 and was lucky to join the ranks of many who self-published during the transitional year of 2011. Along the way, I revised and revised my book again, sent it to a copy editor, worked with a professional graphic artist on the cover, figured out the formatting (! ), and uploaded it to several different websites to make it available as an ebook and as a trade paperback. What a lot of work! So let’s celebrate! I am giving away two signed paperback copies as well as three ebook copies of Tenderfoot. Yes, I will ship the paperbacks anywhere in the world. Having lived abroad during my formative pre-Internet middle-school years, it’s the least I can do for someone who lives somewhere besides the Continental U.S. The ebook can be downloaded from anywhere, in any format, at Smashwords.com. Would you like to enter my contest? Great! Just go to the top of this webpage and look for the green button that says “Subscribe.” Click on that. Once you’ve filled out the form and subscribed to my very infrequent, very private mailing list, you’re all set! See how easy that was? 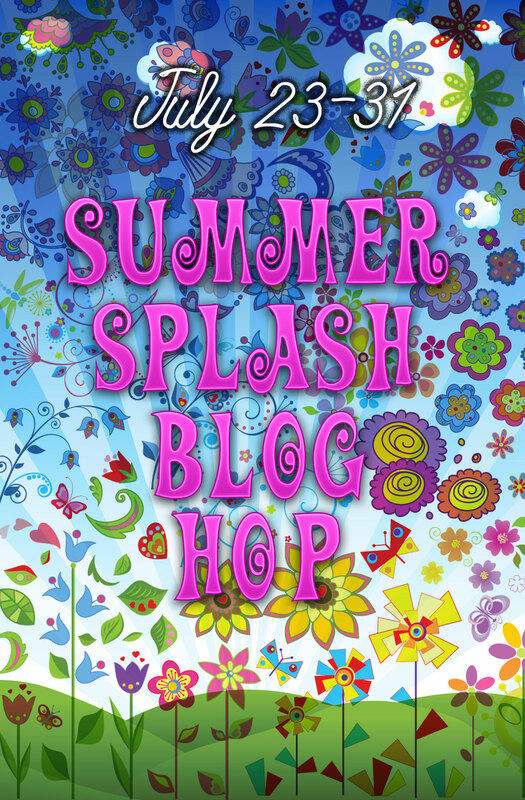 Now you’re ready to visit another website in the Summer Splash Blog Hop, where all the blogs are run by authors – 80 talented authors! – who are pleased to make your acquaintance and introduce their books. So head to the Summer Splash Blog Hop website and visit another blog where you can win more author giveaways including signed books and ebooks. Don’t forget there are also several grand prizes, including brand new Kindles, up for grabs. You enter to win the grand prizes every time you tweet using #summerhop. 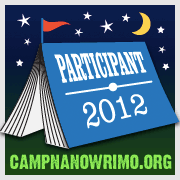 Best of all, this is a great way to meet more authors from the Indie Writers Unite! group on Facebook while adding fresh new books to your to-be-read list! New: one of my short stories has been included in a short story anthology of independent authors put together by the Indie Book Lounge, called fittingly enough, Short Story Anthology. It is available in paperback for $5.95 at Amazon.com. 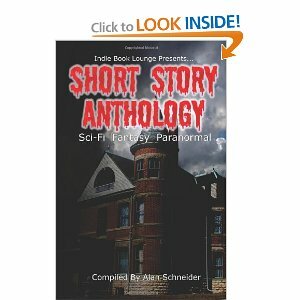 As you can see from the cover, the short stories cover sci-fi, fantasy, and paranormal genres. That short story, The Backahasten, was also posted on my blog if you’d like to read it for free. I have to admit, when the proof arrived, holding the book in my hands was thrilling but the best part was knowing that my story can be read by readers in one more format, the most tangible one of all. A memory inspired by the passing of MCA. True Story: I once pissed off every one of my French neighbors in an apartment complex. A year after it was released, I discovered Licensed To Ill. In the summer of 1987, I was fourteen years old and an American abroad. My family had moved to the suburbs of Paris, France a year prior. I had survived seventh and eighth grade but ninth grade loomed on the horizon that summer. I was nervous about navigating another culture where my ability to speak the language did not match my comprehension, a comprehension founded on French classes at my school and watching reruns of a dubbed version of The A-Team. Stuck in the awkward teenage phase, I avoided dressing like a tourist, of being judged yet another ugly American. You would see them on the subway sporting fanny packs, shorts, and white sneakers, with a camera and a guidebook. But really, you heard them before you saw them. They were loud. They made direct eye-contact. They broke the rules. Trying to adapt to this new culture, my friends and I stood as far away as possible. We’d turn our jean-jacketed backs to them. We made it very clear: we were most definitely NOT TOURISTS. I feel it is necessary to point out that there was no Internet back then. (Tragic, I know.) French Radio left much to be desired, since I had zero desire to sing about some taxi driver named Joe. My only option was to buy cassettes on a monthly trip to an American military base in Belgium. 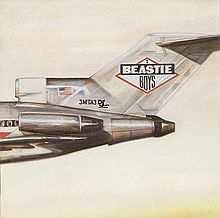 But what great luck that I chose this album based on the cover art of a fighter jet because the Beastie Boys’ music blew the top of my head off! Thanks to MCA, Ad-Rock, and Mike D, I embraced my true inner ugly American. After rewinding seconds of tape over and over until I had sussed out all the words to “She’s Crafty”, I made the leap. I threw open the windows to my bedroom and blasted “Fight For Your Right” out into the apartment complex, as loud as my boombox would play, subjecting all of my French neighbors to some radical American rap. The Beastie Boys were so rad. Like totally raaad. And all five multi-story apartment buildings heard the entire album. Today, while the world mourns the passing of MCA, an incredibly talented rapper, I remember him in my own way. I remember him in that moment when I threw open the windows to the same world, a strange world, and owned my American culture.